Just like every year, Sandos Caracol Eco Resort will be celebrating Mexico’s famed Day of the Dead with two days of culture, traditions and festivities for our guests. During your vacation at Sandos Caracol, you can see beautiful Catrinas strolling through the hotel, visit a traditional Mexican cemetery, and experience many other surprises. Here in Mexico, Day of the Dead takes place on November 1 and 2; on these days, the souls of the deceased return to Earth to visit their families. Each family welcomes their deceased loved ones by visiting cemeteries by night and setting up altars in their homes where the souls can go to enjoy their favorite foods during their brief annual visit to the land of the living. Sugar skulls: Known as “calaveritas”, these skulls represent the deceased (sometimes they are made of chocolate, too). Marigolds and candles: The flowers and candlelight show the way to the altar. Papel picado: This colorful paper cut into elaborate designs represents the link between life and death. Cross made of lime (dust): This cross is created on the floor in front of the altar, representing the four cardinal points. Pan de muerto: The traditional bread of Day of the Dead represents a gift from the Earth and from the host, and its designs simulate a skull and crossbones. 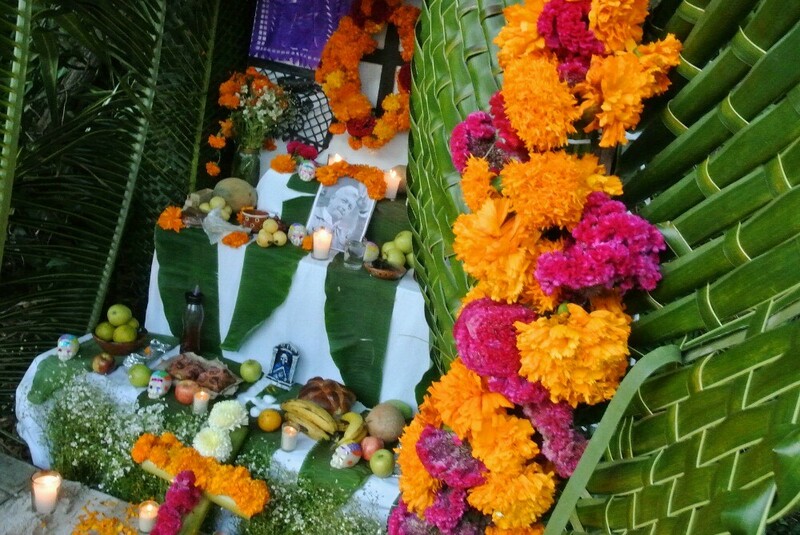 Food and personal items: Each altar includes the favorite things of the deceased. Typically, these are foods, drinks, photos, personal items, toys for kids, etc. It’s also common to use seasonal fruits. Copal incense: This purifying incense helps the souls to pass from the world of the dead to the world of the living. Glass of water: The water strengthens the souls so they have the energy to return to the world of the dead. The Day of the Dead celebration at Sandos Caracol Eco Resort also blends all the most essential traditions of this magical time of year. If you’re vacationing at our hotel on November 1 and 2, 2016, you can join our two nights of festivities to honor the dead here in the Riviera Maya, Mexico. 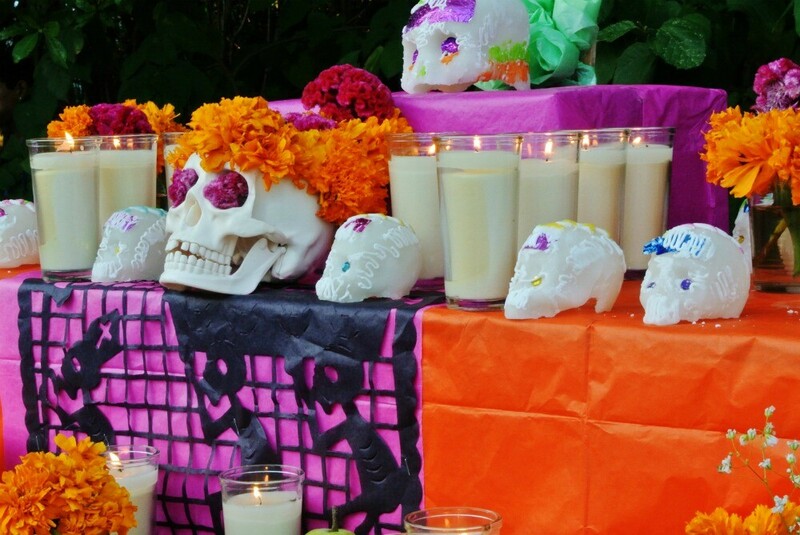 In addition to Catrinas, altars and the cemetery, we’ll also have food stands serving Mexican cuisine, roaming bands playing Mexican music, a Day of the Dead makeup stand, theme art and so much more so you can celebrate this holiday in authentic Mexican style. You can see the full itinerary for this event by clicking here. 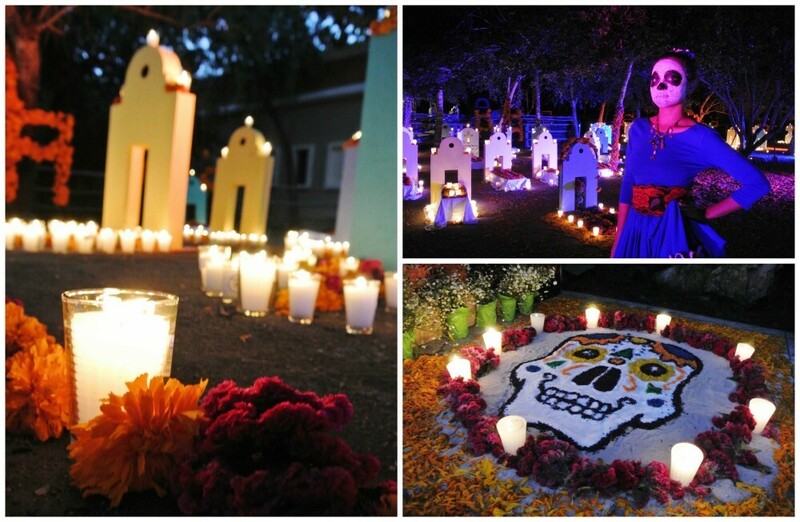 We hope to see you here at Sandos Caracol Eco Resort on November 1 and 2 for Day of the Dead!